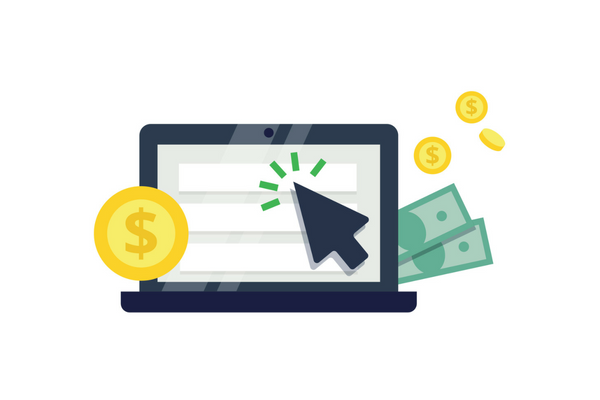 Pay-per-click (PPC) marketing is a form of online marketing in which advertisers pays a fee each time a user clicks one of their ads and is one of the most effective methods for businesses to amplify their brand’s reach and find new customers. Platforms include, but are not limited to: Google, Bing, Facebook, Twitter and LinkedIn and can be served on desktop, tablet or mobile devices. Do you want to run campaigns to raise brand awareness, drive web traffic or generate new leads? Define what actions you want your visitors to perform to help guide the way you build your campaigns. Do you know what platform your audience is spending most of it’s time in when researching the types of products/services you offer? LinkedIn Ads is typically the best paid social media channels for B2B while many online marketers go to Google Ads for search engine marketing (SEM) campaigns. How much of your budget do you want to spend on a monthly basis for each platform you want to advertise on? It’s important to test on platforms you believe your audience is on, but you also do not want to stretch your budget too thin by advertising on too many channels. Another important aspect of PPC campaign planning is to perform keyword research for paid search campaigns on Google or Bing Ads. Having a solid list of relevant, focused keywords, could be the difference between having a positive ROI or spending hundreds and thousands of dollars on irrelevant clicks due to poor keyword usage. Use tools like the Google Keyword Planner to aid in your research and look for long-tail keywords that your target audience may use to see your product/service. Each platform comes with its own conversion tracking methods, but if you would like to consolidate your tracking efforts, consider leveraging the Google Tag Manager to manage all of your conversion tracking actions in one system. Create dedicated landing pages for each PPC campaign with simple to read, visually appealing, and action-driven copywriting. You’ll want to make sure that each landing page you create includes the PPC keywords you are bidding on and are strategically placed in your landing page’s page title, H1 tag and in the body of the page. Keep the user experience consistent beginning with your ad copy, to the landing page copy to the content offering you include on your landing page. Landing page experience is one of several key factors that impact how well your PPC ads and keywords perform in Google and Bing Ads so make sure your page maintains a consistent look and feel. Include trust signals such as customer logos and client testimonials in your landing page to establish authority and credibility for your audience. Once you’ve got the landing pages ready, it’s time to launch, test and optimize your B2B PPC campaigns. As you prepare to launch your campaigns, make sure your campaign settings are properly set up to address your geographic and demographic targeting, days/times you want your ads to show and budgets. Keep in mind that each PPC platform has their own capabilities and limitations in their audience targeting options. When creating ads in your campaigns, you’ll want to produce different ad variations to A/B test specific elements and optimize your ads based on performance. Experiment with calls to action, ad copy, headlines, colors and images but be sure to test only one element at a time to ensure accurate reporting and optimize your ads based on performance. A/B testing should be an ongoing process as you continue to make adjustments in your ads to see what is working and what’s not. Take the time to evaluate your campaign performance on a weekly, monthly, quarterly and yearly basis to get a sense of your ROI. Some key metrics to keep an eye on include CTR, CPC, number of conversions, conversion rate and cost per acquisition or cost per lead (CPL). Use the metrics to make data-driven decisions. Developing B2B PPC campaigns can be a relatively easy process, but if you do not take the proper time to do the necessary planning, research and set up you can also easily set yourself up for failure. Don’t be intimidated, however, as there are plenty of online resources or B2B marketing experts *wink, wink* that can support your needs. Biz Tips: How Do You Know How Long to A/B Test Your Website Changes? Biz Tips: What Kind of Clients Should You Pursue in 2019?